When you’re a pilot so often up in the air, stuff happening in the sky is no longer a surprise for you. 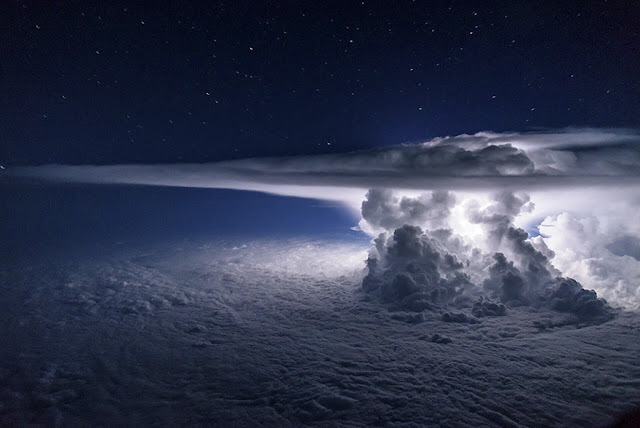 Just when Ecuador Airlines pilot and photographer Santiago Borja thought he’d seen it all however, he ended up witnessing – and photographing – one of the most amazing thunderstorms ever. He captured this spectacular view from the cockpit of an airplane 37,000 feet above the Pacific Ocean south of Panama. Although the picture looks perfectly made, Borja says it’s not that easy to deal with the storms. “Storms are tricky because the lightning is so fast, there is no tripod and there is a lot of reflection from inside lights,” the pilot told The Washington Post. 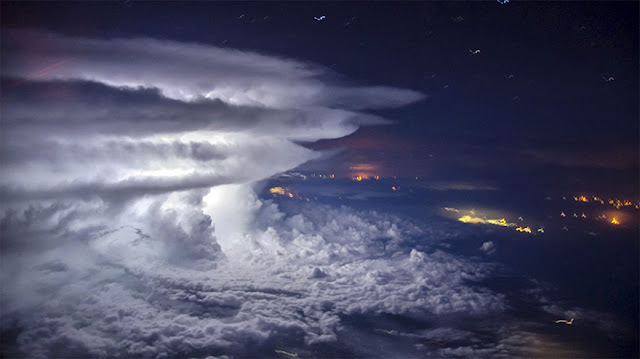 “I like this photo so much because you can feel the amazing size of the storm and its power, but at the same time it’s wonderful how peacefully you can fly around it in still air without touching it.” Take a look at this amazing show by Mother Nature.